15.1% of capital defendants sentenced to death in Pennsylvania since 1980 were represented at trial by a lawyer who has been disciplined for professional misconduct, and that has risen to 18.2% in the past decade, according to an investigative report by The Reading Eagle. These rates of discipline were between 5 and 6 times higher than the 3% disciplinary rate for Pennsylvania lawyers as a whole over the past 30 years. The disciplinary issues have disproportionately affected minority defendants: 83% of the death-row prisoners who had been represented by lawyers with disciplinary violations were black or Latino. The Eagle's review of more than 300 capital cases also revealed that two thirds of the disciplined lawyers had been found to have provided ineffective representation in at least one case in which their clients had been sentenced to death. Ineffectiveness accounts for nearly 60% of capital case reversals in Pennsylvania and is the most common reason a conviction or death sentence is overturned. 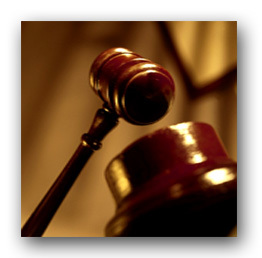 In 2004, Pennsylvania created Rule 801, which established minimum experience requirements for attorneys in capital cases. However, the rule contains no quality controls, does not mandate any performance evaluations, and does not set any baseline for attorney compensation. Marc Bookman, director of the Atlantic Center for Capital Representation, said low pay for appointed capital attorneys is part of the problem. "Only the worst lawyers would consider taking these cases on a regular basis because you can't make a living doing it," he said. Pennsylvania is not alone in its high rates of misconduct for lawyers appointed to capital trials. In Texas, one in four death row inmates had been represented by attorneys who were disciplined for misconduct, and in Washington, the same was true of one in five. Read more about Former Judge: Pennsylvania Moratorium is "Appropriate" and "Reasonable"
(Click on image to enlarge). According to Bureau of Justice Statistics, Pennsylvania is less likely to execute a death row inmate than any other state that has carried out any executions. A Reading Eagle analysis of BJS data from 1973 through 2013 shows that the Commonwealth has executed fewer than 1% of all death-sentenced defendants since 1973, with execution the least likely of 5 possible outcomes for people sentenced to die. Nationally, 16% of those sentenced to death have been executed. The most likely outcome for defendants sentenced to death in Pennsylvania is that their conviction or death sentence will be reversed, as is also the case nationally. 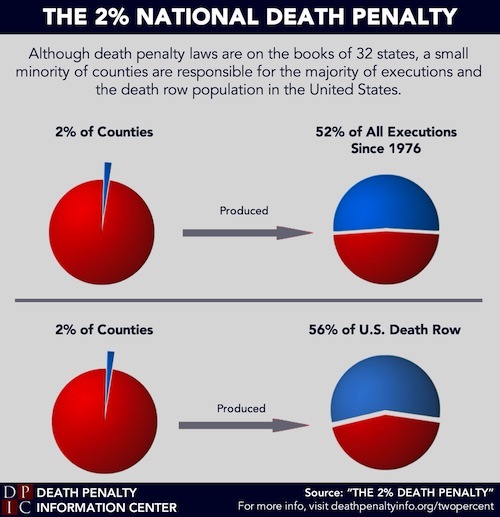 However, in Pennsylvania exoneration and death by natural causes or suicide are also more common than execution. Since 1994, when death sentences peaked in Pennsylvania, the average number of removals from death row per year has doubled. The Reading Eagle reports that homicides across the state fell to a ten-year low in 2013, a period in which Pennsylvania carried out no executions. Three years ago, the Pennsylvania state legislature ordered a task force to study the state's problems in applying capital punishment, including costs, fairness in sentencing, and quality of representation. That report is expected later this year. Governor Tom Wolf has halted all executions in the state at least until the report is issued and problems are addressed. Recent polls indicate that a majority of Pennsylvanian's now favor some form of a life sentence over the death penalty. 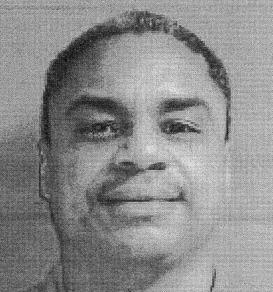 Mamie Norwood, whose husband, Amos, was killed by Pennsylvania death row inmate Terry Williams (pictured), recently wrote a letter to two state officials asking them to, "stop trying to execute Terry Williams." Norwood's letter was addressed to Philadelphia District Attorney Seth Williams and State Representative Mike Vereb, who oppose the death penalty moratorium imposed by Pennsylvania Governor Tom Wolf. Vereb recently introduced a legislative resolution stating that the moratorium "exhibits astounding disregard for the additional and unnecessary heartache he has now caused to the family and loved ones of Terrance Williams' victims." Norwood said, "I have forgiven Terry Williams and I don't want him executed and I have said this many times...[Y]ou have never spoken to me and you do not speak for me." In 2012, Norwood joined dozens of child advocates, former prosecutors and judges, mental health professionals, and five of Williams' jurors in calling for clemency. She concluded her recent letter by saying, "I am asking that you please stop trying to execute Terry Williams. And please don't use me for your own political gain or to get your name in the news. You should be truly ashamed of yourselves." Read the full text of Mamie Norwood's letter here. UPDATE: Family members of other victims have also publicly responded to statements by other Pennsylvania prosecutors in opposition to Governor Wolf’s moratorium that falsely suggested that they supported seeking the death penalty for their family member’s murder.